குழந்தையை தங்கள் சொந்த படுக்கையில் தூங்கவைப்பது கடினமாக இருக்கிறதா? முதலில் ஏன் என்று கண்டுபிடியுங்கள். Sometimes, children are afraid of the darkness, or maybe afraid of hearing the night at night. Sometimes, they wake up at midnight and get upset again. Make your inquiry done.Try to know where it goes wrong. In that way, you can find a way to solve the child's worries. Only after fixing it, children can sleep peacefully. To help your child sleep on their own bed, make a habit of order. After dinner, you can let them play for an hour.Then the baby must have a hot bath. 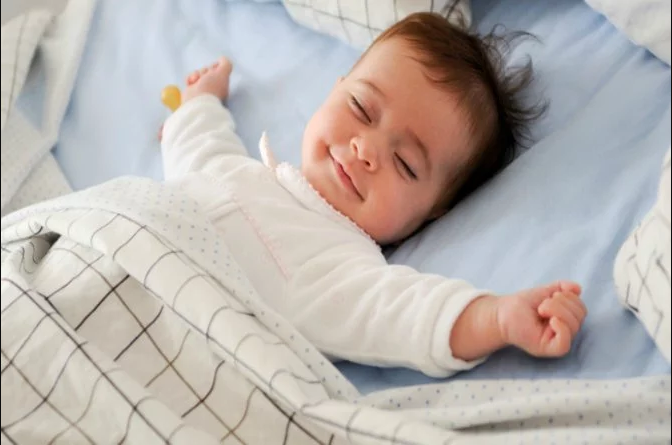 After the completion of the story, After a glass of warm milk, sleep the baby. By establishing a fertility, it helps to create a structure for the child.Help him to sleep in his own place.They have to keep their seat safe and comfortable.To be alone in the room you have to take care not to worry. Your child should learn to live in peace for themselves to sleep safely. Help them to make themselves peacefully without your help. As soon as you learn it, your baby will sleep on their bed as soon as possible without your help. Sometimes your child may find it difficult to help you sleep alone. It is necessary to be positive instead of negative reinforcement. Indifference and condemnation will make matters worse. So it's good to avoid such negative things. Like most things, it takes longer to teach your child to sleep alone. Teach them and first they should be comfortable with their sleeping environment. Do not hurry up your child.And if they are not ready, you should act with extra care. Never abandon the effort at any time. Different children have a special specialty.You do not have to be sure that your children should be corrected. The only thing you need to keep in mind.If you do this for your child. Remember that at the end of the day, you are looking for a long-term solution.